As a society, we often focus on youth. We’ve seen it time and time again, how youth people are being favored. But as the movie “Up” showed us, love can be beautiful at any age. We were thrilled and mesmerized by the love story of Carl and Ellie Fredricksen. 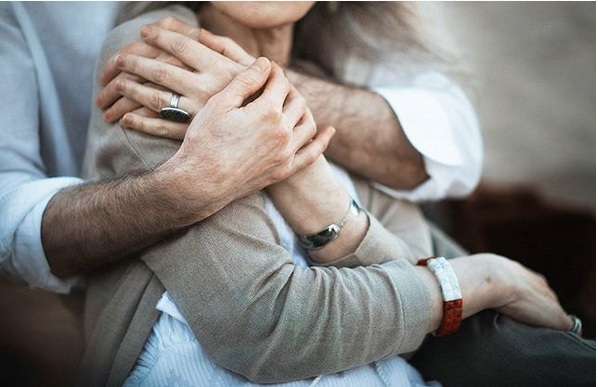 Nowadays, love between an elderly couple is rare, as marriages do not last as they used to do. With that in mind, it is great that we put a tiny bit of focus on those who are older. There is an intangible beauty that comes with maturity. And that doesn’t mean that life has to slow down. 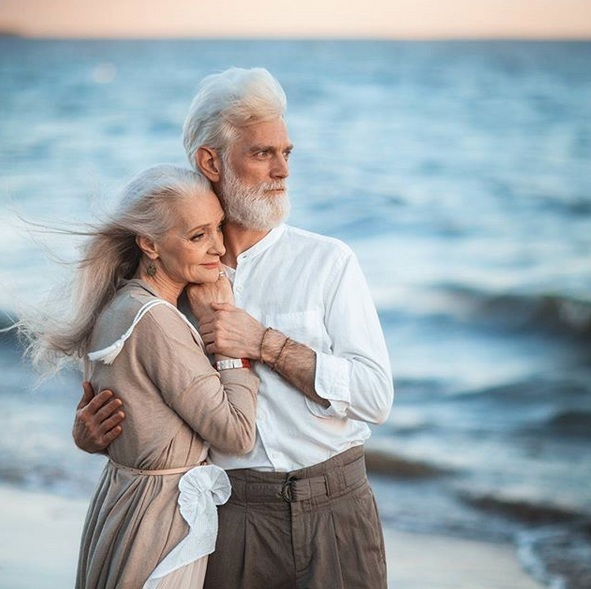 No, we’ve seen time and time again that you are never too old to chase your dreams. Some people find their dream job at 60 years old. 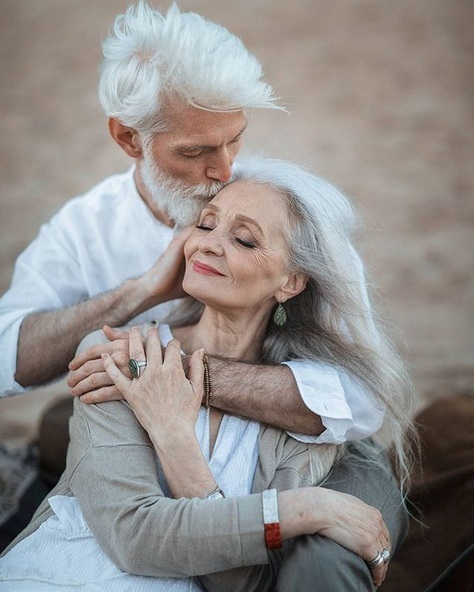 With that in mind, almost all of us would love to have a chance to experience a love as one captured by Russian photographer Irina Nedyalkova. 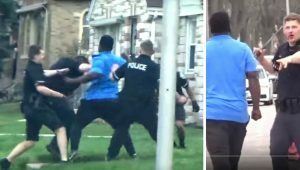 She captured an older woman and a younger man in two instances. The first one was viral, as the photos were taken at a seaside. The second session was during winter months. 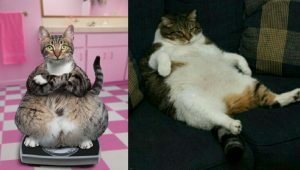 Both photos are filled with emotions, joy, and love. And the fun part is, the people on the photos are not actually a couple. Sergei and Valentine have never met before. They have never been familiar before as well. But they managed to act professionally, and took over the hearts of thousands of people. They showed what are lives are really about. Sergei is 45 years old. Valentine is 62 years old. 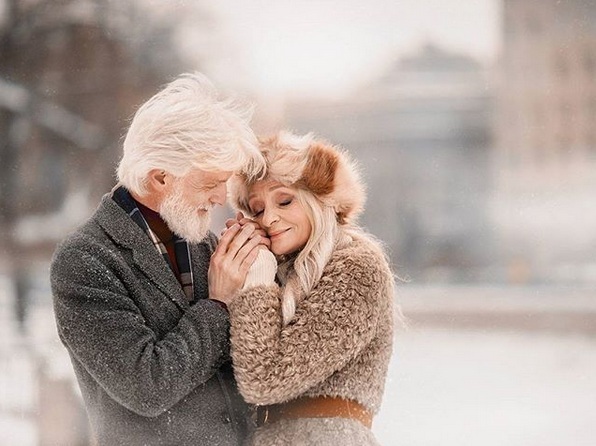 They are a great example that love has no limits, despite their age difference. The idea of the photo shoot was to direct it as in a movie. But even the team could not restrain themselves from crying. To stay professional, they turned away, sobbed, wiped away tears, and continue to work. But most importantly, they believed in their characters. Do you imagine yourself such a future? When you look at the pictures, you must be building plans and drawing yourself in the head for such a future. Do you see yourself in such warm embrace in 10, 20, 30, or 40 years? What will happen to you by then? How will you look? Who will be with you? And what the world will be like then? 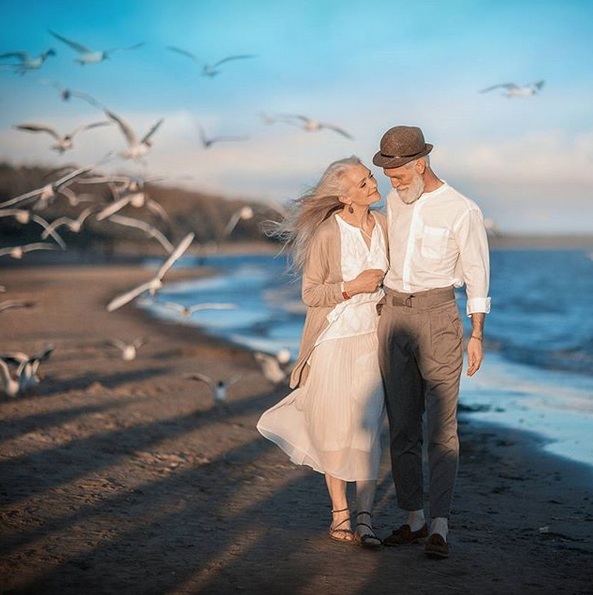 The endearing images of the elderly couple are a heartwarming reminder that love is a feeling that transcends age. The pictures are set on a picturesque beach, and show us Sergei and Valentina in a warm embrace. 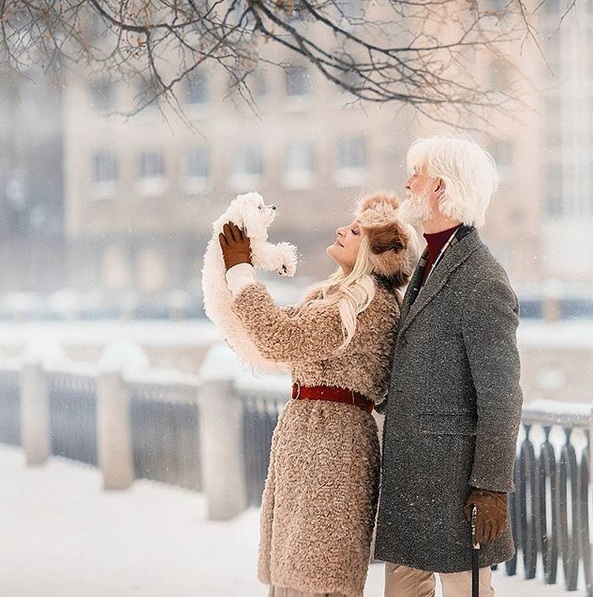 The photographer, Irina Nedyalkova, after few days of the photo shot, took to social media to explain everything. 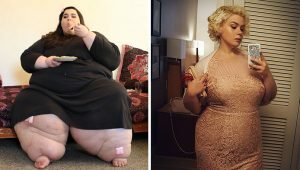 She said that her mailbox is overflowing, and has gained more than 10 thousand followers on Instagram after the pictures were posted. And that was in just 2 days. She has more than 270k followers, and a lot of that fame is thanks to Sergei and Valentina. People sent her links and clippings from publications in different languages, from different parts of the world. Love is often best captured in the small things. Small and subtle movements, like a hand on the lower back of intertwined arms showing pure admiration of one another. It is all about the touch that shows emotion, as anyone who has ever been in love will tell you. 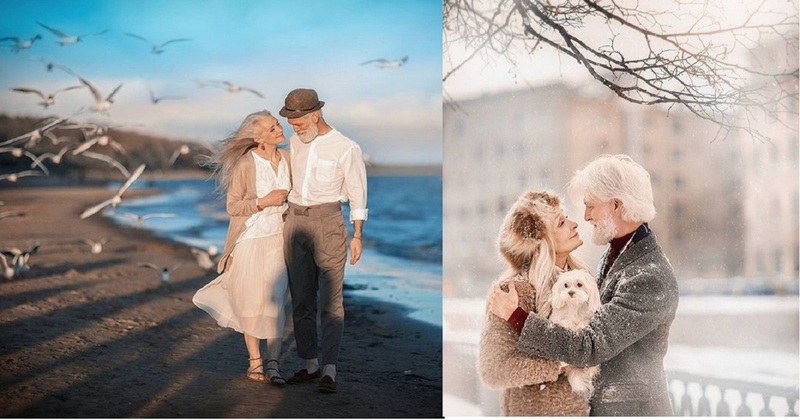 Anyone who sees these beautiful photos of the elderly couple understands that the photos are ethereal. The couple looks so much in love, that they melt anyone’s heart. The sad part is that they are not a real couple, as mentioned before. They are just two actors and models from an agency trying to paint a picture about love. 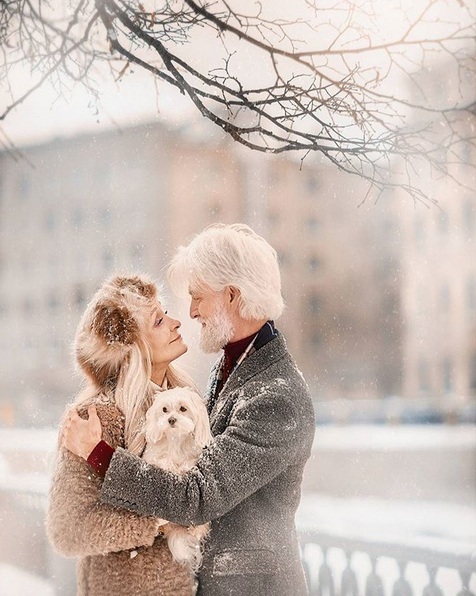 The photos of Sergei and Valentine are pure example of love, and how it is beautiful at any age. If you have been happy enough to experience it, you know how touching it is.